We offer you the highest standard of dental care. Dr. Thomas Bilski is an experienced dentist in Independence, OH who will enhance the health and appearance of your smile while offering the latest treatment techniques. Our caring staff is focused on making you as comfortable as possible during your visit. Tooth loss can change the way you look, the way you speak, and your ability to eat your favorite foods. Hiding your missing teeth behind your hand or a closed mouth smile can affect your enjoyment of social interactions. Tooth implants can replace your missing teeth, allowing you to smile with confidence. 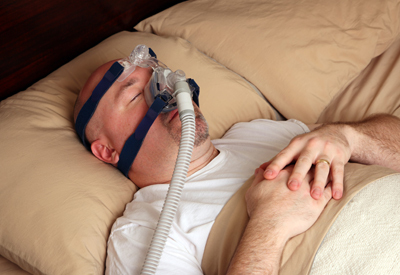 People with undiagnosed sleep apnea stop breathing repeatedly while sleeping, sometimes hundreds of times. This is a dangerous condition because it means that the body and the brain may not get enough oxygen. If you have any of the signs of sleep apnea, treatment may be indicated right away. Porcelain veneers allow us the ability to completely transform your smile into one that you can be proud of for years. Advanced technology in the field of cosmetic dentistry has allowed us the ability to fix teeth with veneers and to give patients white, straight, and natural looking teeth without the use of braces or surgery. With dental implants, you never need to worry about hiding your smile or about poorly held dentures. Implant dentistry can boost your confidence and improve your quality of life. Dr. Bilski can treat your obstructive sleep apnea (OSA), a debilitating sleep disorder that affects your sleep, sapping your energy and concentration during waking hours. Taking good care of your mouth and sticking with a good oral hygiene regimen will help to prevent gum recession. The main cause of TMJ syndrome is still unknown, but scientists believe that the symptoms are a result of problems in the muscles of the jaw or with parts of the joint. It is common to experience bone loss around the teeth as a result of progressive disease, infection or trauma. However, bone loss can limit our ability to restore your smile using methods like dental implants or implant supported dentures. Not to worry! We can answer all your questions and get your appointment booked today. When you have missing teeth, it can negatively impact all aspects of your life. Replacing lost teeth with a natural looking, permanent solution, like implant dentistry, can restore not only the beauty of your smile but also your ability to speak clearly, eat your favorite foods, and enjoy daily activities. 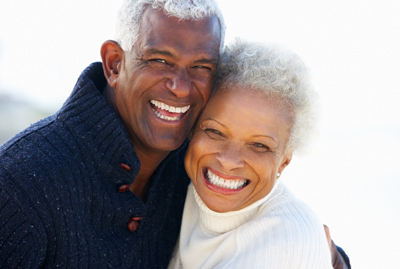 With dental implants, you never need to worry about hiding your smile or about poorly held dentures. Implant dentistry can boost your confidence and improve your quality of life. 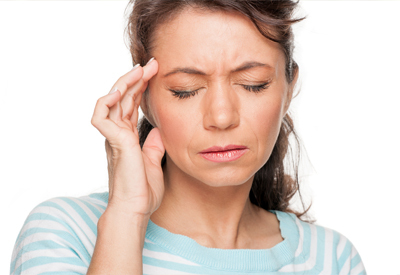 Temporomandibular Joint Disorder (TMD) can result in chronic pain that makes it difficult to perform even the simplest tasks. Dr. Bilski can alleviate your inflammation and jaw pain with a wide range of non-invasive treatments. Dr. Bilski can also treat your obstructive sleep apnea (OSA), a debilitating sleep disorder that affects your sleep, sapping your energy and concentration during waking hours. Great Job Wendy! I had old tough stains on my teeth and not one single over the counter product was working in any way. I finally mustered enough nerve to see Wendy who did a fantastic job and got into every nook and cranny. I am beyond thrilled, and I have found confidence and courage to go more often. Thank you! Top Notch Care Going to the dentist may not be favorite on our list, but knowing that we will have a kind and professional staff to manage our care makes it much easier. Thank you for caring for my child (and us parents) as you would your own! Generally most folks have anxiety about visiting the dentist. I can testify that our family experience at Dr. Bilski's has always been one of comfort, calm and care. The entire staff is extremely kind, knowledgeable and communicative regarding all procedures they provide. All visits are handled in a timely fashion and scheduling is a breeze. The office waiting room is beautifully decorated, comfortable and relaxing. Danny our little one loves visiting the treasure box for a special prize after his visit. We have the upmost trust in everyone at Thomas M. Bilski, DDS and highly recommend them for busy families. We are grateful and very thankful to have them near for all our dental needs. Initial visit Everything was explained in layman terms. Great also to have someone to explain about insurance, even better than our benefits manager. Wendy should have 10 stars instead of 5 for the great treatment I can count on when I come into your office for a visit. She's a real pro. Very friendly, great dental services and PAIN FREE!! Everyone made me feel comfortable. Dr Bilski Was thorough and completed everything in one appointment. It feels great. I would recommend him wholeheartedly! High quality service I got two fillings replaced and didnt feel a single thing. It was a great experience with a friendly staff. I have gotten much work done there and will continue to do so. Best dental experience EVERY time! Everyone is so nice here! They truly go out of their way to make sure the experience is 100% pleasant every time. You can put your absolute trust in Dr. Bilski who truly cares about his patients. He is highly skilled as a dentist and will patiently answer all of your questions. The entire staff is nothing short of kind, professional, and extremely knowledgeable making your dental appointment enjoyable. This practice is one of a kind!!!! High Quality Service You can put your absolute trust in Dr. Bilski who truly cares about his patients. He is highly skilled as a dentist and will patiently answer all of your questions. The entire staff is nothing short of kind, professional, and extremely knowledgeable making your dental appointment enjoyable. This practice is one of a kind!!!! I had a great first visit yesterday. The staff was super nice. Linda was great. She explained everything to me as we went. Despite being a little anxious, Dr. Bilski was able to make me laugh! Definitely a keeper. I would happily recommend them. Professional and Friendly First dentist practice in a very long time that did not pressure me in discussing a plan of action to fix my teeth. Will not hesitate to refer others. My dad was a dentist all my life so I have high standards. Dr. Bilski and his staff are simply great. They explain everything clearly. They're great listeners. They can advise you on preventative care all the way up to aesthetic procedures to improve your smile. I'd highly recommend them. Thank you for another great visit today. I appreciate the professionalism of Dr. Bilski, Wendy and the entire office team. Bilski is a great dentist and his staff is top notch. I appreciate the consultation and will follow-up accordingly. Outstanding Dentist and Team! Once again, thank you for a great experience. I appreciate Dr. Bilski's professionalism and consultative manner. I can't thank Wendy enough for being so thorough and efficient. His office staff is outstanding as well. I feel so fortunate to have found such a great dentist after my relocation to Ohio. Top notch care. Great all around! Thank you for another great visit today. I appreciate the professionalism and outstanding care I receive from Dr. Bilski and his team. I feel so fortunate to have found such a great dentist after my relocation. I highly recommend Dr. Bilski and his team for outstanding professionalism and quality care. I appreciate this fine team. Such a beautiful office with lovely flowers and such a kind staff! Dr. Bilski has been my dentist for 20 years now. I will never go to anyone else! He has recently brought on a new dentist, Dr. Timmerman. Just like every time a practice that I'm familiar and comfortable with brings in a new provider, I was nervous. But after meeting him, I found him to be very caring and compassionate and patient. He explained clearly and patiently all my treatment options (which to me were very extensive and stressful). I cannot say enough good things about Dr. Timmerman! He did excellent work, was super detail oriented and went above and beyond to make sure I was pleased with his work. His work was absolutely of an expert level and he was so generous, kind, and aware of my comfort during it. He made sure I was ok during the entire procedure. This practice is the only place my husband and I trust for our teeth! Thank you to Dr. Bilski and Dr. Timmerman, Mary, Cassie, and Dana! 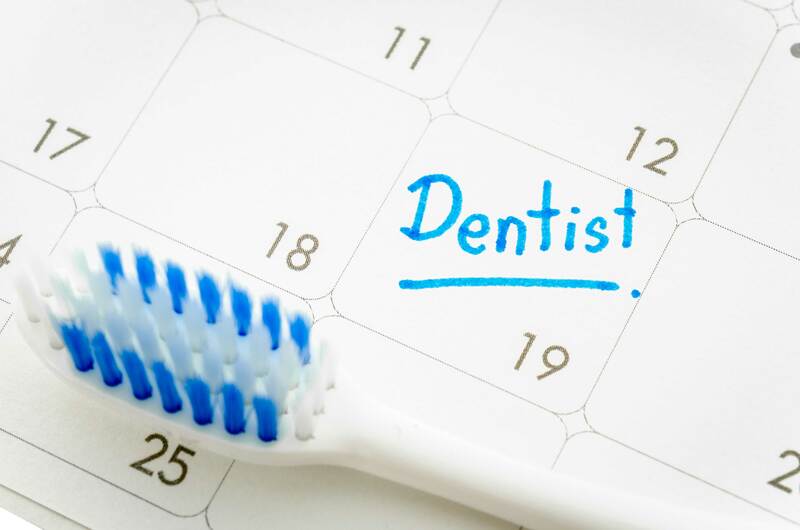 The whole team is efficient, from schedulers to hygienists. Highly highly recommend. Dr Bilski and staff are great! Dr. Bilski and his staff are truly caring, highly skilled and have the best in modern dental technology. As a fellow dentist I can tell you that they are in the upper tier of dental practices. If I lived in Cleveland heâ? ?d be my dentist for sure!!! Iâ? ?ve been going to Dr Bilski for 9 years - he and the entire office are kind, straightforward and take great care of my husband and I. I highly recommend for anything from a cleaning to a crown to whitening! Always a good experience. Everyone is very professional and nice. They all take their time with you and listen to your concerns and work to resolve. Had a crown made in about an hour, very pleased with the results. No pain Thank you Dr. Bilski and your great sidekick Cassie. My procedure was fast, and painless. Thank you Wendy for your observant and professional eye. Keep up the good work. I recently started going to Dr. Bilski and I am very impressed by his staff and beautiful office! Would recommend to any new patient. Great dentist! Staff are always friendly. Got fillings and whitening, almost no pain. You can put your absolute trust in Dr. Bilski who truly cares about his patients. He is highly skilled as a dentist and will patiently answer all of your questions. The entire staff is nothing short of kind, professional, and extremely knowledgeable, making your dental appointment enjoyable. This practice is one of a kind!!!! Dr Bilski is a wonderful dentist with a wonderful staff. They are all compassionate and not even an second of condescension that I have received from other dentist offices. Dr. Bilski's office is now my first, last, and only stop for my dental needs. The staff is very professional and are also very personable. They all know my name and are very kind. I have terrible luck with dentists so finding Dr. Bilski was a life saver. Highly recommend. Dr. Bilski and his staff are exceptionally knowledgeable and highly skilled. They are genuinely nice people and always friendly and very professional. This office uses the latest equipment and techniques. They stay on top of new technology and advances in dental procedures. I personally enjoy that Dr. Bilski and his staff are always willing and able to answer questions and explain all aspects of my dental care. Very professional, friendly and attentive to my concerns/ questions. My children and I have had the pleasure of working with Dr Bilski for a number of years. We have always found him and all the staff to be professional, compassionate and quite knowledgeable about the latest dental treatments. 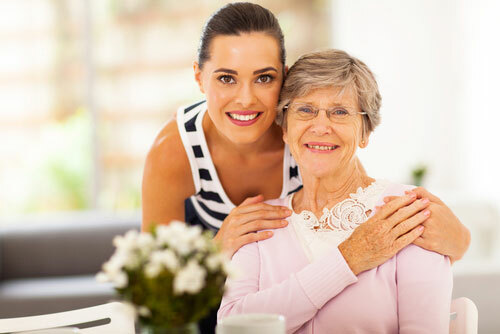 Perhaps best of all, the staff works within the confines of each family's individual needs and situations. I have found them to be honest and keen listeners - especially when my children were in their teens. Furthermore, if you require several dental procedures, usually they can be done in house at Dr Bilski's. In the past we were forced to travel to one office for one special dental procedure and then to another for something else. I highly recommend! Dr. Bilski and his staff make going to the dentist enjoyable. They the time to explain everything is detail and make sure you are comfortable during the entire process. Dr. Bilski and his staff are wonderful. I wouldnâ? ?t trust my teeth to anyone else! I have been coming to this office for years, and love all of the staff! Always look forward to seeing Wendy and it certainly was a pleasure to meet and work with Dana recently! She is an awesome addition to this phenomenal staff! Great facility with a wonderful staff that has gotten to know our entire family over the years! Everything was done righr and done in a timely manner. Great service. Wendy is terrific as is the entire staff. Keeping me happy, smiling and healthy! Beautiful office! The hygienist was very friendly and gentle. She was also very thorough. My teeth feel great! Had an awesome experience with Dr. Kindle today. Love the fresh flowers in the office. Office is very much updated and has state-of-the-art Medical technology. I had a procedure done at the office called Provance. It was an affordable and painless way to fix my smile! No needles and no drills! I have had fillings completed by Dr. Bilski and Dr. Kindl and had a wonderful experience. The doctors and staff are wonderful and well educated. Highly Professional From the moment I contacted the office til the time I left I was impressed with the professionalism and care I received. Outstanding. I have seen Dr Bilski for major restorative work within the past year, and I am overly pleased with how it has transformed my smile. With that being said my recent trip for two cavities being filled was less than noteworthy. The staff was friendly and professional as always and I am pleased with the work done, but I am disappointed in the lack of communication. It was discussed with me after the fact that my previous X-rays showed I may have had other problem areas and that they were resolved without my consent. Stretching to make out of pocket payments for the two fillings was already a stressor, so having the price doubled without my knowledge was disheartening. Excellent service. Most pleasant treatment from all there. Dr. Kindl is THE most patient dentist I have known! Kudos to him and thanks. Hope he sticround for a LONG time. Great experience, as usual! Dr. Bilski and his staff are great, very professional and detail-oriented. They have been taking care of me and my family since we moved to Independence and I would highly recommend Dr. Bilski, you won't be disappointed. Greatful for lots of tender loving care and patience We just love Wendy, Dental Hygienist. Danny is 7 and had his teeth cleaned and polished today and she took such care and patience with him and even handed him a mirror so he could watch and she showed him just why it is so important to brush as often as possible. I am certain he will do better with his brushing based on her helpful tips. All of the staff is super helpful and kind and the office is simply beautiful adorned with fresh flowers and a relaxing atmosphere with a TV and refreshments. The kids like the open wifi and video game center and the special prize at the end of the visit as a reward. I can't imagine going anywhere else. They are just a hop, skip and a jump from home and work which is super convienent for an on the go family like ours. Hope you all have a blessed Easter. Thank you for all your assistance with our dental needs. Comfortable The hygenist, as always, did a great job. It is a clean, quiet enviroment that helps calm and relax me. Thank you to Wendy and, of course, Dr. Kindl. Very caring people. Plus all in the office - Mary, Karen, etc. Dr. Bilski's office has been and will continue to be our dental services provider. The service has always been great and the personnel are very courteous and professional. We highly recommend them for any dental concerns. Great Service great service. beautiful office I went to Aspen Dental first and got a second opinion with Dr. Bilski and the price difference was 1100 cheaper. I had an emergency repair to my dentures done today it was GOD SENT since I am leaving for FLORIDA Wednesday . Dr. Kindle and staff provided the essential repair and PEACE OF MIND for me. Conseltation Doctor Bilski explained the procedure and what it will take to do what I wanted to accomplish with great detail. High quality service, professional, friendly, accommodating I recently came in for a routine cleaning, I was running late due to traffic, staff was very understanding, did not have to reschedule, was able to fit me in since I live 40 mins away. Needless to say, very accommodating to their clients. Staff is always so friendly and professional. I walk in and feel welcome, staff know me by name and I feel recognized with every visit. I see Wendy and Dr Kindle specifically for my dental care. Always treated with respect and open to any concerns I may have. Extremely happy with their customer service and the environment that is maintained. Office is very clean and does not give off an intimidating feel. Would recommend this office to anyone!! New Cap Quick and easy all in ove visit. Dr. Kindl and your staff was very considerate and took into account my request to expedite the visit procedures and consider an early start since we were in the middle of a family emergency that needed presence. Evaluation My appointment was for evaluation to get implants and new dentures. Everyone was nice and polite. Doctor answered all my questions and explain everything. Dr., Wendy and desk staff are friendly and professional--always. Dr. answers my questions completely. Never has seemed rushed or impatient. Truly, a great group. Most beautiful and tranquil dental office I have ever seen. Simply beautiful!!! and the staff.......amazing!!! Very professional. Dr Bilski was very patient and informative. I never once felt rushed or just a number. Dr. Bilski and his staff are the best! Dr Bilski took care of a problem and now I am pain-free! He and his office staff are outstanding and I would not go anywhere else for dental care. Crowns This was my first experience for any major tooth repair, and I was very surprised at how well it all went. Every step was described to me, never felt uncomfortable. Great dentist! Great experience- felt at ease throughout a lengthy appointment. Hygienist and assistant were friendly and chatty which helped pass the time. As always, Wendy did an excellent job cleaning my teeth. Everything was great! Staff was great and very friendly. Facility was super nice inside. Highly recommended! Great overall experience! Stephanie was very professional and informative. Today I received the excellent treatment that is the trademark for Dr Bilski's practice. The staff is always efficient, helpful and professional. Great service, honest, friendly, helpful Great experience. I will be returning! My daughter received two fillings Dr. Kindl does a fantastic job. Been going there since I was a freshman in HS and now I take mr husband and children there. Had my teeth cleaned and she was very good. Would have her clean my teeth again. Thank you ð??? Impressed My experience started with Lindsey and her husband Brian. I was very grateful for the sense of urgency that they took to get me the appointment ,and I was grateful that Dr.Bilski office got me in on such short notice. When I arrived, I was greeted as if I had been a patient of theirs for years. I so impressed with how friendly I was treated by the staff including Dr.Bilski. I felt very comfortable in the way I was handled ,and took a liking to Dr. Bilski and the entire staff immediately. I left with the feeling that Dr. Bilski was truly interested in my best interests. Beautiful work. Careful. Worked patiently with keeping discomfort to a minimum. Worked with my schedule, which was very important to me since I am self employed and in health care myself. Very good teeth cleaning experience! Wendy was very professional AND thorough! Friendly, thorough, catered to me I drove from Columbus to have a consultation. They catered the visit to me being out of town. Very thorough and knowledgable, covered all the bases and answered all my questions. Great! I â¤ï¸ RootCanals Completely pain free rootcanal, amazing! Great environment, knowledgeable staff, able to establish trust This is a very well managed dental office, with outstanding time management (you do not have to wait long when you have an appointment, even if they are constantly busy). The staff is professional and efficient. This was my first visit with Dr. Bilski, but he gained my trust, and I am confident that he will be able to address the dental issues I am currently struggling with. I felt so comfortable and had no apprehensions about my care. Hi, it was a good visit. Thank you very much! Excellent Follow up appointment to surgery. Answered all my questions, great service and support. Great experience The staff was extremely friendly and welcoming. The appearance of the office was very nice and clean. I would recommend this office to anyone in the area looking for a dentist. Even when you walk in miserable with an aching jaw these folks make you feel good. I love this place Friendly, professional office. Great care! Thank you for a wonderful Dental Cleaning Visit I always look forward to my visit at Dr. Bilski's - Everyone is so helpful and kind! The office is beautiful and I especially love the fresh flowers in the lobby! Thank you for a great visit! They are very professional and everyone in the office is super nice. Would highly recommend this dentist office! Very professional and courteous. Procedures were explained. When I asked questions, they were answered to my satisfaction. I always feel I a m in good hands. Most caring group of people. My dental cleaning was efficient and friendly Thank you for making my trips to dentist office pleasant and painless. I just LOVE this office! I have been a long time patient of Dr. Skoula's. I found him after a year or so and was so happy I did. His new office he is at is just so friendly and warm. Everyone I have been in contact with there is just so wonderful. Even if you are not their patient for the day they walk past and have something great to say to you. I am also a coward and Dr. Skoula is a caring and easy person whom you just learn quickly to trust in. I am no longer a coward when it comes to Dentist's. Thank You Dr. Skoula! You can't go wrong no matter if your seeing a Doctor there or a tech. They are all so knowledgeable. So glad I am now a client here. Pleasant experience As usual, appointment time was m et. Wendy was professional and pleasant. No complaint here. Cleaning appt Wendy always does an exclent job! See you soon! Good experience ! As always, a professional and friendly office atmosphere. Best dental experience I have had in a long time! everything was great and wendy came in early to meet my schedule needs. Smile of a lifetime I have found with your practice that you seem to hire THE BEST of all employees. The hygienists that I have had in your practice are just as picky as I am. I really like that! And Dr. Skoula is the best you will ever find. He creates master pieces. He gave me a smile I never had. Thats saying a lot since I was the biggest chicken when it comes to Dentist Offices. He is just so great with Chickens. My smile today is something I get so many compliments on--makes me proud now. Even the front office staff are very helpful and friendly. Thanks! You'll be seeing me for years to come. Friendly office This dental office is very warm and friendly. They are professional yet make you feel like the dentist is a fun place to go. Efficient with time too! Honest, Professional, Supportive I waited a long time (3 years) thinking about this dental treatment before seeing Dr Bilski. His thorough, factual advertisements intrigued me. I am a health care professional with experience working in an oral surgery practice as well as hospital nursing. The office is beautiful, calm and every staff member is smiling and welcoming. Dr Bilski spent more time than I ever imagined explaining the treatment plan, the physiology, the comparison treatments. I was impressed with his professional presentation. But more impressive than the polished presentation was his sincerity. He did not rush. He took a long time with education. It was on my level and I am confident I am making the right choice to schedule treatment. This is not in-expensive treatment. But I will need it to achieve my dental health goals and I am fortunate to have discovered Dr Bilski's practice. We enjoy our visits at Dr. Bilski's - the staff is very cordial and helpful as well as flexible. Dr. Bilski always takes time for his patience and explains the services so you are aware of what the plans are. We are thankful they are local and able to make appointments based our our hectic schedules. I highly recommend this office for anyone considering orthodontia or general dentistry. I was happy with the appointment--wasn't kept waiting and was given information about a procedure to improve my teeth. I plan to have this done. Best dental care in Ohio Always on time... always pain free.... everyone really pleasant! Molds for crown Procedure was quick and painless. Wendy does a very thorough job. I very much dislike going to the dentist and she makes my visit tolerable. Very friendly and helpful through the entire experience. Dr. Skoula took great care of me! Dr. Skoula saw me right away for an emergency (broken tooth) and it was a quick, painless fix. Outstanding dentist! Best Hygienist Around Routine check ups and cleanings are essential to keeping your mouth healthy over a lifetime. Having a conscientious and professional hygienist sets a quality dentists office apart from an average one! Wendy does her job with perfection, attention to detail, and kindness! She is just one of the reasons I am loyal to this practice! Don't be an anti-dentite like I used to be!!!! As usual, my visit to your office was very good. Everyone is so professional and really knows what they are doing. The shot for the sedative was not painful and the dental procedure was pain free too. If only people could get it out of their heads that dentistry is painful. With the new techniques, you don't feel a bit of discomfort. As usual, my trip to the dentist was easy peezy. Everybody is so nice and so competent. The staff is A++. I as greeted in a friendly, professional manner. The procedure was explained and commenced immediately. I was checked on several times during the procedure. I would recommend Dr. Bilski and staff to friends and family in need of Dental procedures. Wendy is wonderful - it was nice having the girls all to myself ;) ! The staff and Doctors make you feel as if you are the only patient! Beautiful office and beautiful, caring, talented people working in it. My high rating for this office is due to Dr. Kindl. Love the staff! Very professional and caring. Take good care of the patients. I appreciate so much being seen the same day that I developed the problem. Dr. Skoula took care of the problem very efficiently and effectively. Many thanks! Nice catching up with Dr Kindl. I sound like a broken record, but my visit was great, Awesome people, very comfortable, caring atmosphere. Dr. Bilski is a perfectionist and does his job well. Thank you Mary for your patience! Nice job everyone! Everyone is patient and professional. I have finally found a dentist that will cater to my fears. I highly recommend Dr Bilsky and staff to all my fellow dental cowards. Everyone was so nice. I love everyone. Doctor Kindl is very gentle and professional. Patty does an excellent job cleaning teeth. I wouldn't go anywhere else. We're very lucky to have such an excellent staff right here in Independence. Got a crown, it is sweet. I have been a patient for many years. The professional services provided have been excellent. Good ,looking son you have there, Dr. Bilsko.. Is he then next generation of dentists in the family? Friendly service, great work on my teeth. Altogether am excellent experience. Excellent experience! Thank you! Really appreciate all staff at this office. Dentist is wonderful! Such a relief to have a really great dentist! I hated going to the dentist for the longest time. That changed when I started going to see Dr. Bilski. He and his staff are top notch and make you feel very comfortable with whatever you're having done. Plus he's also up on the latest methods of taking care of your teeth. Keep up the great work gang! Wendy is so wonderful. Always takes wonderful care of me. I have been going to Wendy for over 20 years and she's top notch. Would recommend her to anyone. I am new to the area and was looking for a place close to work. This was a perfect location and turned out to be a fantastic office of people as well. I didn't have to wait long and my hygienist Patty was fun, she was understanding of some of my personal concerns and even though I will have to have some major dental work approaching (I have a fractured tooth), I am not feeling apprehensive as I felt well taken care of. Very Professional and experience people. Made me feel at home! I travel all the way from Mexico because of the excellent service. Wendy is amazing. You have such wonderful people working there! I was pretty nervous about my implant procedure but Dr. Bilski did a fabulous job I had very little pain and it was all done in about an 1 1/2 I'm at work the next day feeling good. Knowledgeable and friendly staff. On time visits are a great! It was a Beautiful and clean facility with updated technology. I had the best teeth cleaning of my life and staff was very kind and calming to my children. I always have a great experience at Bilski Dental. The staff is very caring, flexible and informative. This office is a pinnacle of how a practice should be run. I especially like the appointment reminders via text. I think everyone thinks dentist = pain. Well not so with Dr. Bilski , I have been coming here over 7+ years and never had an issue with any of their procedures. (Pain) Dr.Bilski and staff take extra care to make sure you are very comfortable during your entire procedure. Wendy their dental hygienist is also very good. The whole staff is top notch ! Thank You ! New crown, replaced old fillings, cleaning, x-rays, general check-up. Very professional dentist and team and excellent care. Thank you. Dr. Bilski and all did a great job. Thanks to all, a great office. Very clean and modern, and everyone is pleasant and professional. Educational and professional dental experience, with absolutely outstanding results...........treat yourself to the best staff and highly trained dentist in the area. Thank you!! Always on time. Always friendly. The least painful, in all aspects, dentist experiences Ive ever had. Very friendly staff and very professional and definitely upto date technology. My experience at Bilskiâ? ?s is always a great one! I see Wendy for teeth cleaning and Mary Ellen and Dr Kindle for cosmetics. The staff is very welcoming and professional. Iâ? ?ve been a client for 4 years but feel like Iâ? ?ve been coming for years! I enjoy catching up with the staff and donâ? ?t just feel like a number to them. I would recommend this office to anyone! Thanks guys! Dr. Bilski and his amazing staff are true professionals. I would highly recommend them to anyone. I always have a very pleasant experience at Dr. Bilskiâ? ?s office including the dreaded teeth cleaning. Everyone is professional and kind. Wendy is the best !!! Nothing to improve. Outstanding staff and comfortable waiting area. Very professional, very kind, and attentive staff. They explained everything and worked with me to meet my needs. Also, very accommodating with scheduling appointments. 10/10 would repeat. Dr Bilsky and staff are all very friendly, courteous and professional. It's always a positive and rewarding experience when visiting the team at D. Bilshi's office. Great office!!! Great staff!!! Gentle caring doctors!! !Thanks for taking care of me! Always a pleasure to visit with staff--awesome team! Dr Bilski is pro and confident as all hell.. we'll see if my TMJ acts up after these pulled wisdom teeth heal. Great atmosphere! Everyone was friendly and engaging. Dr. Bilski and his staff took the time to explain my treatment plan and next steps in great detail to ensure I understood what to anticipate in the near future. Thank you for a wonderful experience!! Happy New Patient Great atmosphere. Exemplary customer service. Awesome experience as a new patient. Thank you! Dr Bilski and his team did a great job on my cleaning. I am going back Wed. for a refresher Whitening. Another quality experience My visit today was for a minor and unexpected repair. The entire experience from calling for an appointment through the brief and very pleasant treatment, yes did did say pleasant, was great. Dr. Bilski and his entire staff are cordial, making any visit more than satisfying â?? I'm never disappointed. Thank you for the fine service, along with all the information anyone could ask for and I usually do ask. Professional, quality service and a staff that is unsurpassed. I am a total wimp when it comes to going to the dentist. However, Dr. Bilski and his staff cater to my cowardice. They are so patient and kind. Dr. Bilski is awesome! He has the latest in technological equipment, tools and methods. He will detail the entire procedure before he begins. He will discuss options for any extensive work that needs to be done. This allows you to make the choice as to how you would prefer to proceed, taking into consideration your dental insurance coverage and any out-of-pocket costs, if required. The administrative staff are great to work with when it comes to making an appointment to my meet schedule, working with my insurance company, quoting recommended services and billing. The office has a very friendly atmosphere ... everyone is upbeat and eager to serve. Highly recommend. Very friendly, professional environment. Dr. Bilski did a great job of explaining my procedure. I highly recommend him! Great dental practice The office is very nice and clean. All the employees are all very friendly and professional. I was taken care of quickly and with great care. Would highly recommend Dr. Bilski's dental services. Amazing experience Had to get an emergency procedure done on a Saturday and Dr. Bilski and staff were so accommodating and came into the office to help me out. Fast, easy, amazing experience. Absolutely recommend for future procedures! Always a positive experience with Wendy thank you for having a great staff. PS Mary takes great care of me as well! PS Mary takes great care of me as well! B. High Quality, Expert Advice Best dentist office I've ever been to. No drama, just straight forward advice. Wendy was outstanding and made me feel comfortable with all her knowledge! Awesome... as usual!!!!! :) Thanks Wendy.... and nice talking with you Doc!!!!! Great Cleaning Today, I had my teeth cleaned by Wendy. She is a true professional and that seems to genuinely care about her patients and their dental needs. I found Dr Bliski to be friendly and professional. He talked to me like I really mattered to him and i feft that he could help me with any dental problem that could ever come up. I gave his card to all my children. Wonderful My first visit to Dr. Bilski's office and it was a home run. A wonderful experience with a great group of professionals. We had the pleasure of meeting with Dr. Bilski when our son had an emergency. Our son played hockey in the NAHL injuring two teeth. Dr. Bilski used Provenance to create our sons 6 front teeth which are absolutely beautiful. No pain just beautiful teeth. His office staff, chair side assistants, hygienist are so wonderful and extremely professional. Dr. Bilski is always available and prompt to return phone calls and answer any questions. His bedside manner is remarkable. Thank you!! High quality dental care Dr. Bilski has been our family dentist for many years. He provides state-of-the-art comprehensive dental care with professionalism and objectivity. His entire staff is knowledgable, friendly and accommodating. 5 star PLUS rating for the entire practice! Wonderful experience. Everyone was extremely friendly, office was beautiful, and appointment was quick and timely. I will definitely be staying there for all of my dental care. Helpful and Courteous with Busy Schedules The staff couldn't be more kind and helpful. I had to change my appointment and they were able to accommodate me so I could keep my appointment in the same day by adjusting the time. Everyone is professional and eager to help you upon request. I am blessed to have them of service to our families dental needs. Professional and Friendly I have always had a great experience whenever I have a dental appointment and I am always greeted by name. Dr. Bilski and his entire staff are awesome and they always seem to make me laugh. :-) Professional and friendly they definitely are! The atmosphere was wonderful, they made me feel very comfortable and relaxed! Highly recommended his service. One hour commute to his office was so worth it. Dr. Bilski and all the people he has working for him are wonderful! They are good at their jobs, efficient, helpful, considerate and caring. I give them an A+ and would highly recommend them to my friends. The doctor is very knowledgeable. Takes his time with his patients. I've had veneers, root canal, and implants all done by him and I've been very happy with the outcome. Dr. Bilski and his staff are wonderful. They make you feel welcome, always ask if there's anything you need, settle your nerves and they walk you through each step of your visit. He cares about his patients and would recommend him in the future. Fantastic experience. I am a physician with a severe latex allergy. Dr. Bilski and his staff went to great lengths to ensure a Latex free environment for me. They have even moved to Latex free gloves for the entire office. He is the only dentist I could find in Ohio to take my allergy as seriously as I do. The staff is friendly, professional and efficient. Bilski is very personable and professional. Very happy. Even after hearing that drill. Professional and friendly Dr. Bilski and staff are true pros. They send reminders via email to make sure you remember your appointment. The waits are never long. The hygienists and office staff are really friendly. I'm a relatively new patient and I'm glad Dr. Bilski is my dentist. Thanks wendy, it was short and complete It was fast and painless. Thank you. Have a happy , healthy holiday. Wonderful office staff I have been a patient of Dr Bilski's office for 5+ years. They are warm and friendly as soonas you step in the door. 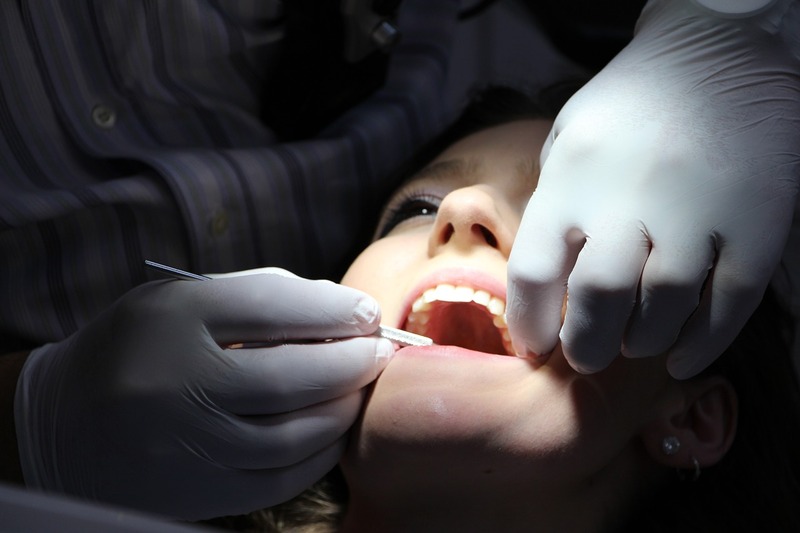 The hygienists are professional and thorough and explain the service through out the visit. I have recommended friends and family to them and will continue to do so. Timely, professional and quality I have been coming to this office for about 3 years now and every experience has been great. They get you seen right away and get started right away. No long waiting and the entire staff is so nice and professional. Wendy is a great hygienist! I highly recommend. Does the job perfectly Nice environment, clean and friendly. Very informative and gentle. Great job! As much as I hate going to the dentist and have much anxiety over it, they did a great job filling my cavities and providing good anesthesia. Dr. Bilski and staff are the best! What can i say, I had a wonderful experience at Bilski Dental, they are the Gold standard of the Dental world. As a new patient I was extremely impressed with Dr. Bilski's expertise and genuine care , the staff was friendly and knowledgeable. You can tell the work environment was positive, it shows through the excellent work and attitude. Def. recommend Bilski dental ! As always, the whole experience was A++. Highly professional staff!! Stephanie was amazing with my son Jack, she made us both so comfortable. I will definitely be scheduling my next cleaning with Dr.Bilski's office. Great customer service and the most beautiful office I've ever seen. Made us feel so comfortable. The favorite dentist that I have. Beautiful facility with a friendly and knowledgable staff. This office truly cares about each and every patient and the doctors want what is best for the patient and their ultimate oral health. Highly recommended.